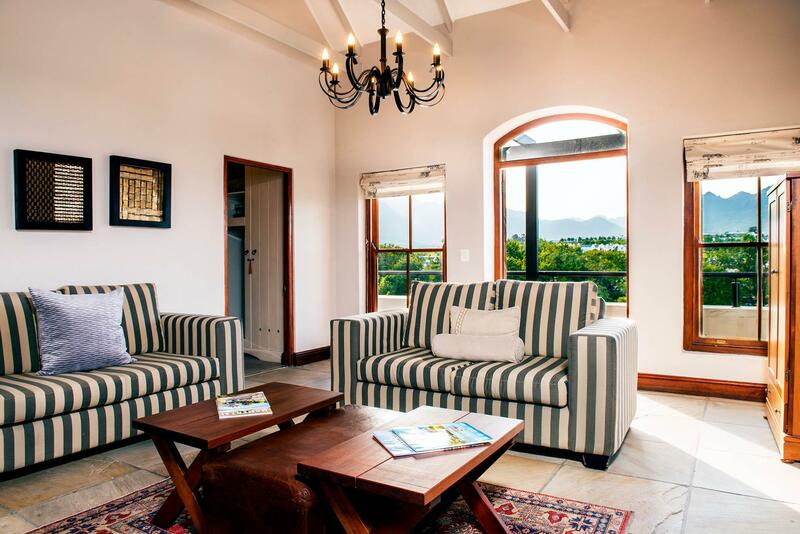 ﻿ aha De Zalze Lodge Stellenbosch. JIMAT di Agoda.com! Ada soalan mengenai aha De Zalze Lodge? 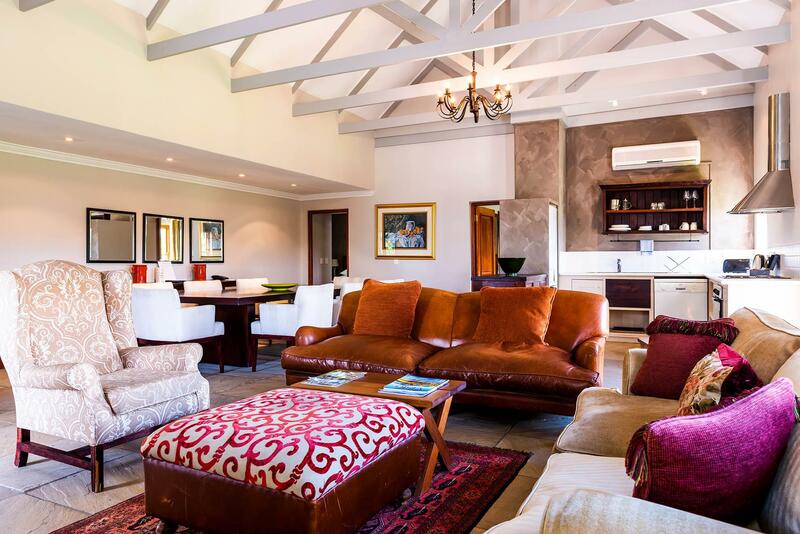 Terletak di De Zalze Golf Estate, aha De Zalze Lodge merupakan tempat menarik untuk memulakan pengalaman di Stellenbosch dan kawasan sekitarnya. Hanya sejauh 34.00 Km, hotel 4-bintang ini boleh diakses dengan mudah dari lapangan terbang. Dengan lokasi yang mudah, penginapan ini memberikan akses mudah ke tempat yang anda perlu lawati di bandar. 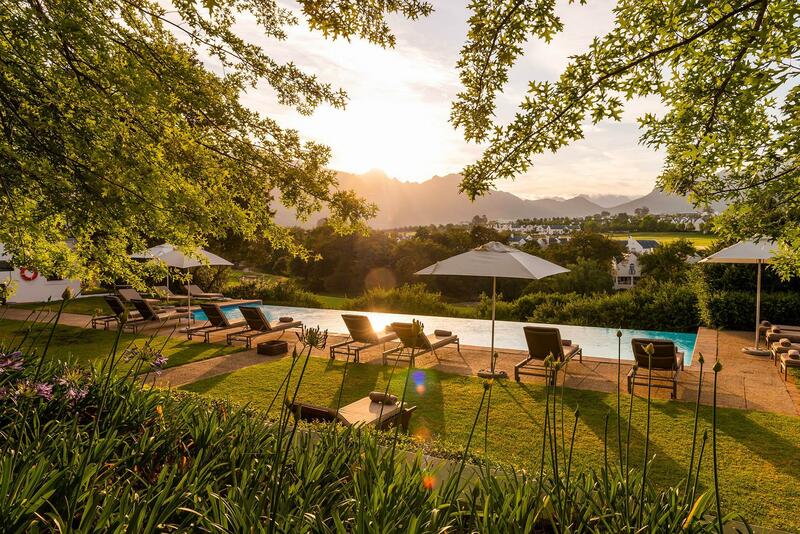 Aha De Zalze Lodge juga menawarkan banyak kemudahan untuk memperkayakan penginapan anda di Stellenbosch. Hotel ini menyediakan akses kepada pelbagai perkhidmatan yang luas, termasuklah pengawal keselamatan 24 jam, pengemasan harian, Wi-Fi percuma semua bilik, pendiang api, khidmat pos. Semua penginapan bagi tetamu menawarkan kemudahan yang difikirkan dengan teliti bagi memastikan rasa selesa yang sukar ditandingi. Sepanjang hari anda boleh menikmati suasana yang santai dengan pusat kecergasan, sauna, padang golf (di lokasi), padang golf (dalam jarak 3 km) , kolam renang terbuka. 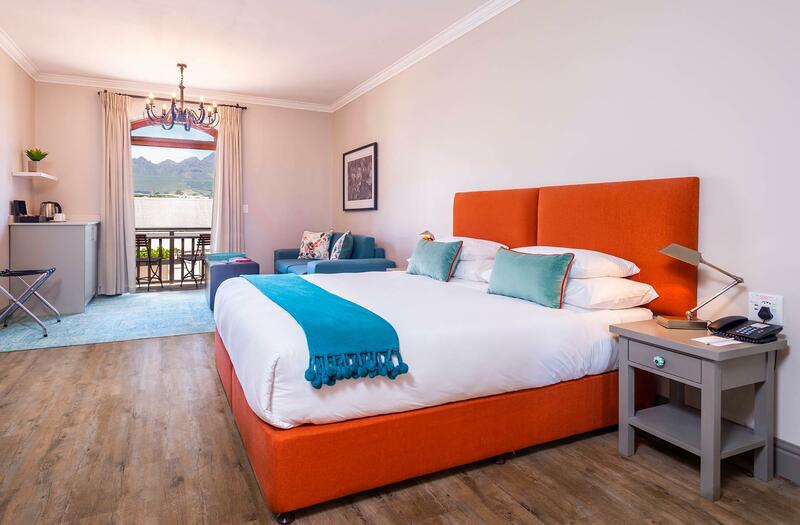 Aha De Zalze Lodge merupakan pilihan yang bijak bagi pelancong ke Stellenbosch, menawarkan penginapan yang santai dan mudah setiap kali. The complex is a really good idea and on a 10,000 hectacres area there is plenty of room for the limited number of animals to roam. We had a brilliant guide on the first day who was very informative and knowledgeable and was very helpful and considerate to his park visitors. On the 2nd day however, we had a younger team member who took us around, he was not very chatty, antagonised the Rhino and was more interested in getting from one side of the park to the other as quickly as he could, he seemed over eager to get back and must have been informed at one point that he was back too soon, as he turned around and took us to the same watering hole/rhino as we had just come from. It was not a very pleasant ride out and had it not been for the 1st guide/1st day we would have written a complaint to the management. However the spa area was brilliant, masseur's were really good and it was clean and relaxing. The accommodation in the main lodge was a little to be desired, food was mediocre. I chose the luxury room and had a few issues. Ordered room service which was average. My balcony bedroom door couldn't lock, the lights in the lounge were flickering and my DSTv wasn't working. 4 hours later after threatening to not pay the full amount, the DSTv was finally fixed. I will definitely not return to the accommodation. Loved the place - can't fault it - from the sights to the food to the staff. 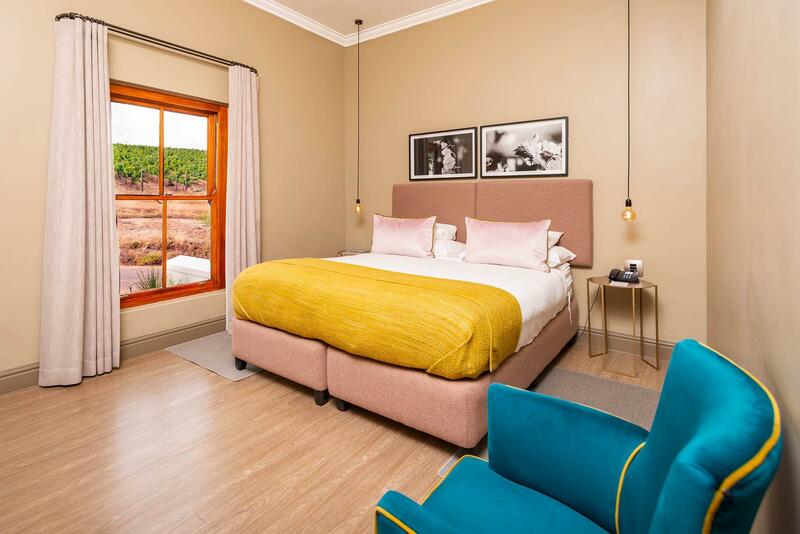 Always welcoming, always accommodating, and with an award winning restaurant on site, this should be your go to hotel when staying in Stellenbosch. The only quirk; you are asked to pay for cappuccino at breakfast although everything else Is included? Odd. Also, try for a golf course facing suite; quiet, spacious and wonderfully calming views. Room is ok but the Internet is too slow. I thought the room was VERY small and saw a small spider walking over the pillow. There was only one chair in the room and the ventilation in the bathroom wasn't great. It was also difficult to find the room, since we stayed in Cinco no2 and the only signage is on the garage door which says Cinco 1 - so we had no idea that you had to go inside to find Cinco 2 so we drove around for a while looking for it. Eventually we found a security guard who told us to go in at Cinco 1 to find no2 inside. They should have made that more clear at reception or the sign should just say Cinco 1&2. Otherwise it was clean and the farm really is beautiful. I would just expect more from such a reputable establishment in terms of accommodation. The restaurant is wonderful as are the staff who work there. Terroir restaurant, great golf course and wine tasting. 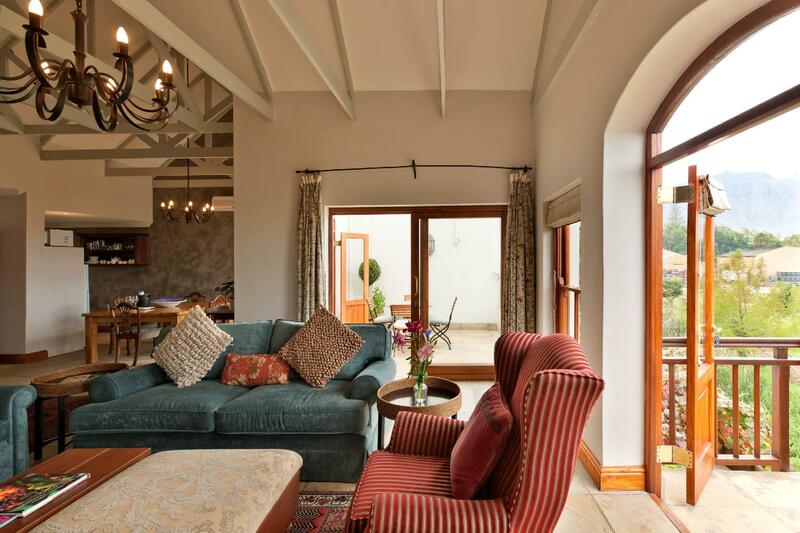 Our second stay at Kleine Zalze and we'll return again, highly recommend. Great location, with fantastic golf course, outstanding Terroir restaurant and wine tasting all on site. 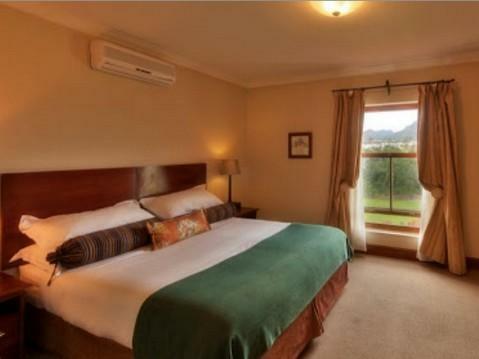 We had a very nice room, with a complimentary bottle of the estate wine, and a balcony giving a view over the estate. The staff were friendly and very helpful, particularly grateful to Dane for his help in booking at tee time at Pearl Valley. Excellent golf course, with interesting layout with water in play on a number of holes, but very playable, great views and beautiful Weaver birds amongst the bird life to be seen. Very good wine complimentary tasting included as part of the rate, and close to the wine estates of Stellenbosch what's not to like about Kleine Zalze. The hotel is nice and relaxing. When we first arrived we were given the wrong key and ended up opening the room of a lady who was obviously was in total shock. Once we got to our room we discovered that we were offered a nice bottle of wine from their own vineyard aswell as a free wine tasting. Nice gesture... We then went for a late lunch and only sandwiches were available. I was not impressed with the quality... We were given great recommendations about places to eat and do wine tastings. Breakfast was very good but dinner was a disaster... The wine tasting was really nice and the staff was very professional. We really enjoyed our stay and would recommend staying here if you have your own vehicle or hire vehicle to access surrounding attractions including wineries. Don't stay here if you are elderly, disabled or have heavy baggage as there are about 20 steps down to apartment. Nice hotel but wouldn't stay again, not enough hot water, hairdryer broken and breakfast was chaos and food not up to standard for a 4 star hotel. For the price you are paying there are better hotels in the area. Great restaurant, nice golf course all surrounded by vineyards. staff were helpful with all enquiries. breakfast was excellent with wide range of choices. the on-site restaurant was very good and the ambience on the patio is fabulous. Vi blev besvikna på servicen i lodgens restaurang, blev nonchalerade en kväll, erbjöds inte ens dessert så vi åt ingen. Dessutom var det trots varmt väder så kallt i poolen att man inte kunde simma. Super Lage mitten auf einer Golfanlage.